A crisp early fall morning dawned as we took our 4 hour trip from Long Island, New York to rural Beaver Springs, Pa. the reason? 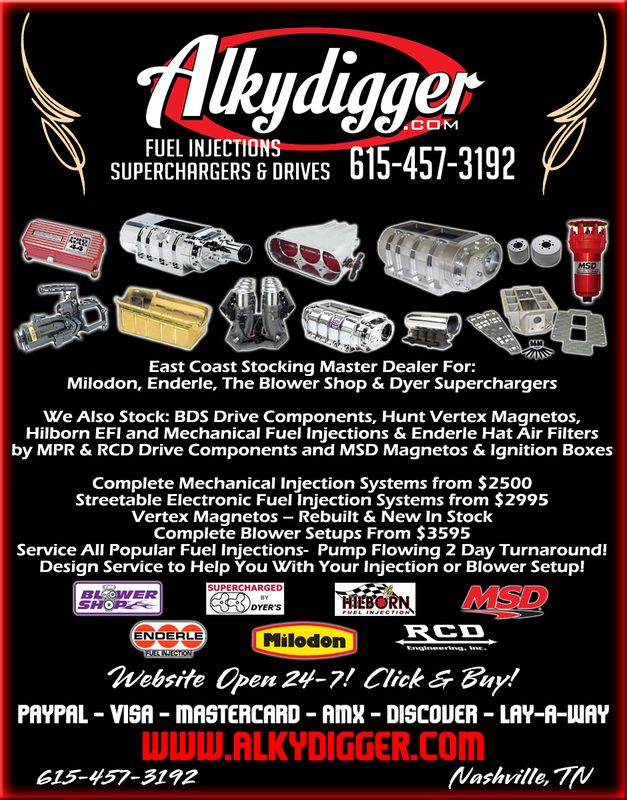 The 11th Annual Jalopy Showdown at Beaver Springs Dragway. The track is literally in the middle of nowhere and that’s just fine. It’s nestled in the mountains of northern Pennsylvania and could only be more picturesque if the fall foliage was in full swing. I’ve been here before most notably for the York Nostalgia Nationals that are held the Sunday after the annual York Reunion in early July. I’m not too sure as to why I hadn’t attended this event before. I know I heard of it but never knew what type of cars would be there. There was vague talk of a wheelie contest as well as the regular racing. From what I understand, the event is open to hot rods and drag racers in cars no later than 1964. So it’s pretty much the stuff I was brought up on in this sport. 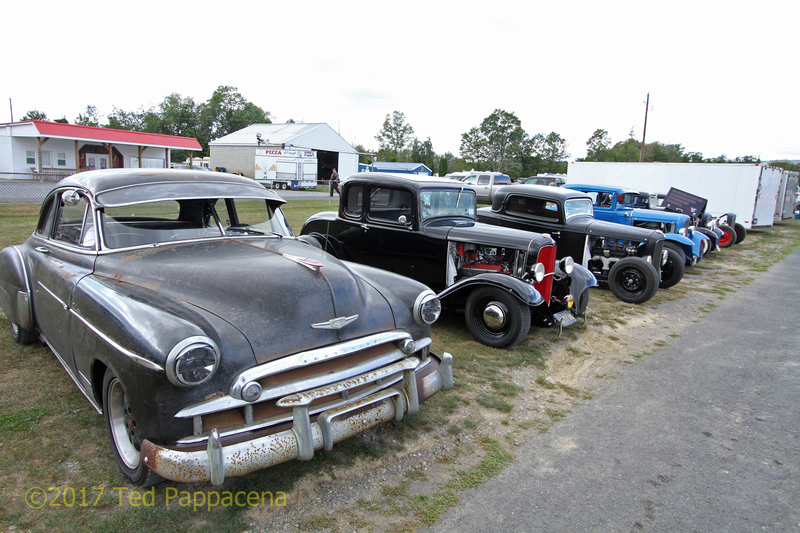 Hot rods, some “jalopies”, flathead dragsters, and gassers were the fare of the day. No stockers (except what appeared to be an early 60s Rambler called “American Scrambled” from Ohio), Pro Stock, Funny Cars, nitro anything, or even motorcycles were in attendance. 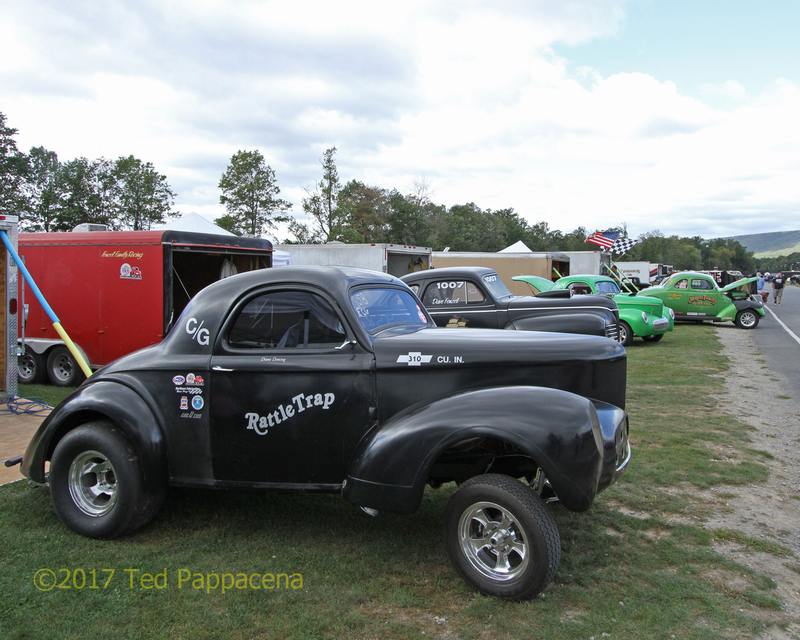 There were a few front engine dragsters both injected and blown that ran an exhibition class that fit the theme of the day as well as a few period correct flathead dragsters and track roadsters that literally looked like the “jalopies” of old. You know the ones that would be found on board tracks and local bull rings from back in the day. So, there were gassers (notably the East Coast Gassers), rat rods, and street machines all pre-1964. 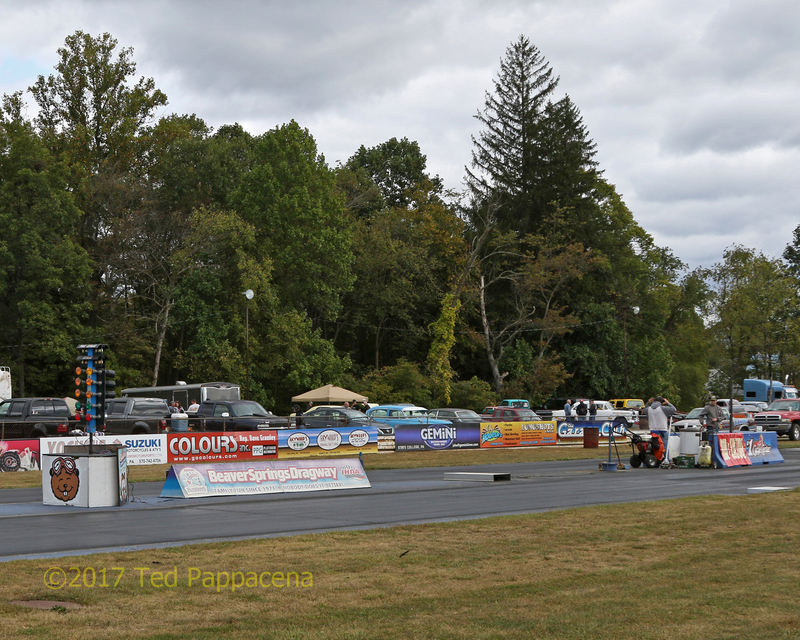 Most all the cars would run the 1/8 mile except for the few exhibition dragsters and gassers. The event attracted quite a large crowd and went off without a hitch. No oil downs or incidents made for a smooth show. Oh yeah, I almost forgot, the wheelie contest. 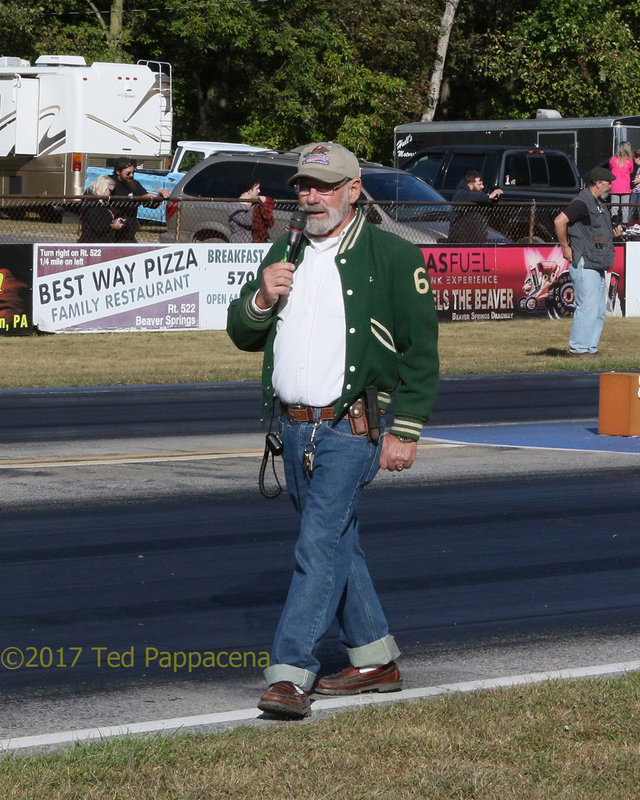 Proprietor of Beaver Springs Dragway, “Beaver” Bob McCardle kept mentioning it throughout the event and about 5PM, the 4 participants started to arrive at the line. They would be Bob Carson’s 53 Ford “Rigor Mortis”, Dan Moyer’s “Rebel Reaper” Willys from Ohio, The Etchberger & Bowen “Filthy Forty” Willys, and Dan White’s ratty looking injected 55 Ford. Insanity ensued from there! The Rebel Reaper of Dan Moyer was making runs all day (16 I heard) and most all were on the back bumper with some going into the right side grass. It was safer for me to shoot him from behind or very far in front. Rigor Mortis too was on the bumper or close to it all day. They also made some ferocious burnouts . Making a wild burnout was Dan White in his 55 Ford. 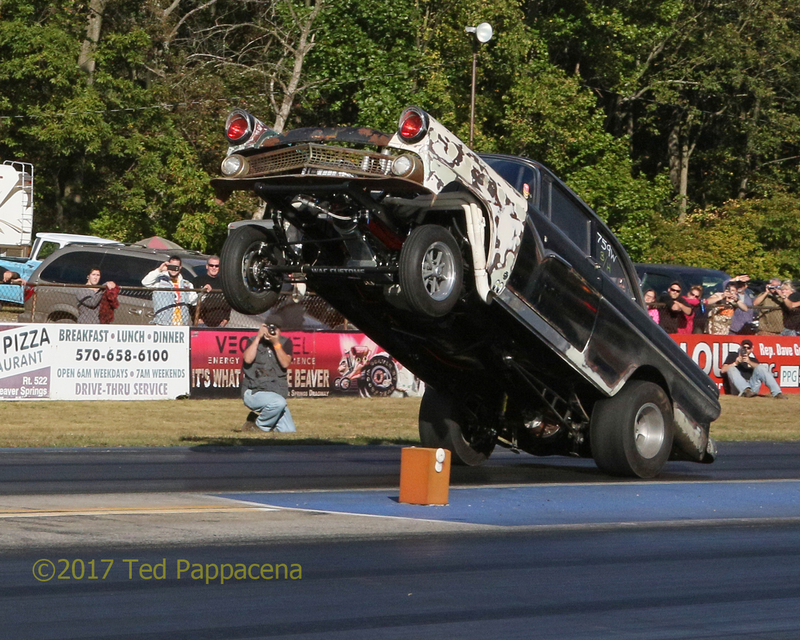 Once lined up, he proceeded to stand the old Ford on its bumper getting all four wheels off the ground and eventually became the winner. Mike Etchberger’s Willys probably would have won had he not had his wheelie bars directly under the rear bumper. You heard right. I was wondering what those things were under there. Those last two cats had the crowd and Beaver Bob roaring. As if all this wasn’t enough, Beaver Bob announced that some of the racers were going to give rides down the track at the end of the day. We honestly didn’t pay much attention so we left. I later found out that the Rebel Reaper’s Dan Moyer gave 8 rides and pulled the wheels on each pass. Guess we won’t be leaving early next year! So all in all, it was a very good day and I’m already looking forward to next years’ edition. The track as of this writing has been sold. Beaver Bob made the announcement during the latter part of the event. The new owner was on site and I hope he continues the event(s) in the years to come. Thanks for a great run, Bob. Enjoy your retirement!